All this talk about suicide and Robin Williams made me do a little soul searching. Everyone who knows me always see me as this bubbly person, and I have been all my life. I think God for this amazing life, with an amazing family, and He has blessed me with so many things, including being able to sell for a great company like Longaberger and own my own company, and He has given me all this talent. I am here to confess that at age 22, I almost took my own life. Yes, I was so upset that I was not in school, I did not have a job, and I was still living with my parents. I had problems with the constant itching from Eczema, and the doctor prescribed for me Atarax (Sp?). So one day, I was sitting in my room, on the floor, and looked at them. I poured them all on the floor, and thought, "If I took 10, which would do the trick, my parents will never have to worry about me anymore." God dispatch his angels to stop me, and I all of a sudden heard myself say, "What the heck am I doing?" So I picked them, and put them back into the bottle, and never thought about taking my life again. It only takes a second, and if you really think about all the amazing things you have in life, and if they outweigh that one bad thing, then your life is not half bad. You are going to have some problems, because I have them now, it is called life. I know what I thought about at age 22 was nothing compared to what Robin Williams went through. He had all this amazing talent, but after the cancellation of his show, rehab, and whole host of things that only he and God truly knew what he was going through. I just hope and pray that he did make peace, although it does not sound like it, because if he did, this would turned out much, much differently. Please, if you even for a second thought about taking your own life, like I did, please get help. I should have, because those thoughts can easily creep on you again. Thursday, at Longaberger's consultant's convention, there was not a dry eye, when the story of Jackie was played. Jackie, (I am not sure if I can reveal her last name, so for privacy, I have deleted it) had gone through so much. First, she had a stroke, then her husband left her because of the stroke. Next, her sister, her only sibling died. My guess was that her parents were already deceased, they were not mentioned in the video. Her son, who had been serving in the Navy in Texas, had come home from a tour. While he was at home, he showered his mom so much, Jackie never knew the pain he was harboring inside. He even told his mom, that his dad was not worth keeping and for Jackie to not go after him. Her son spent 9 months at home, and one day, Jackie found him in his room, and he had taken his own life. She knew why. After the funeral, she mentioned that she did not want to live at that point, and went into a bout of despair. She said that if it wasn't for her team, her faith, God, and Longaberger, she would not be here today. I wish that Mr. Williams could have heard this, and say that despite my problems, I am so glad that I am still here, and that this too shall pass. That is what I always tell myself before thinking the worst. 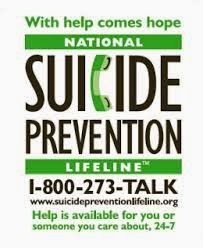 I hope that this will bring you some comfort, and if you are contemplating taking your life, please get the help you need. Your life is much more precious then you will ever know, and so much more. The Truth About Rates and freelancing.